It’s finally beginning to feel like Spring! 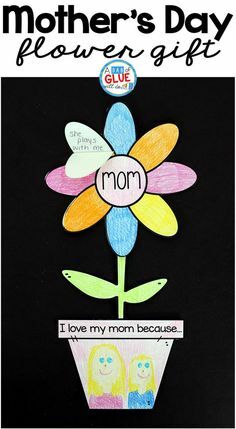 One of our favorite things to learn about in the spring is butterflies. 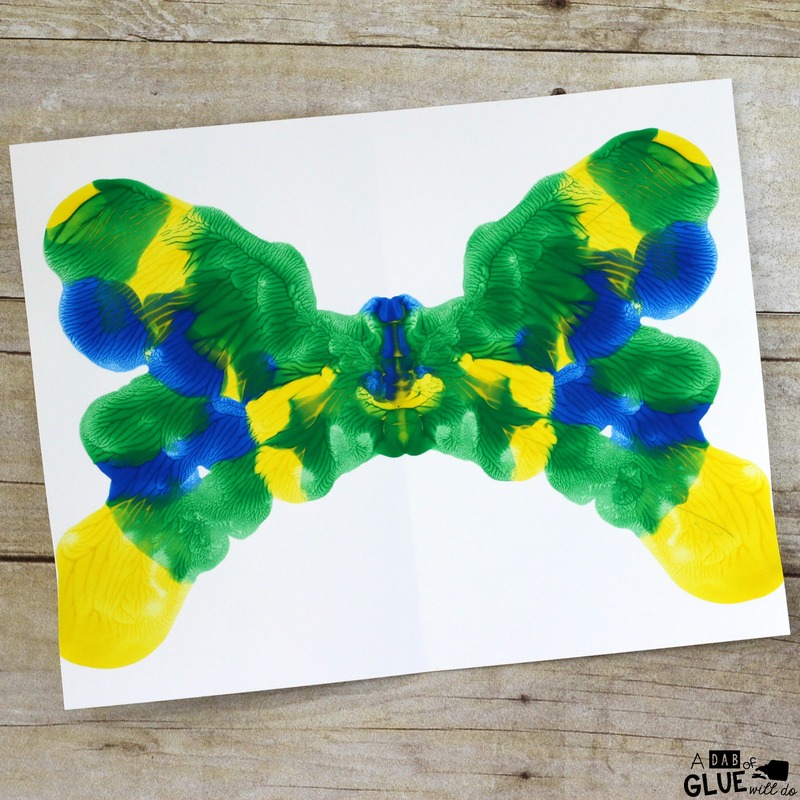 We love to visit the butterfly garden at the zoo, raise our own butterflies, and do a lot of themed activities like creating this Line of Symmetry Butterfly Craft. 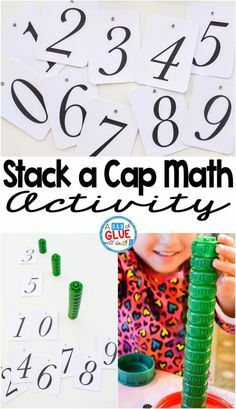 It is a fun and creative process art activity that your students are sure to enjoy. 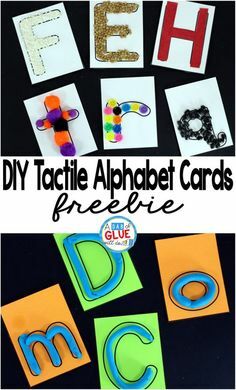 First, fold a piece of white card stock or any other type of thick paper in half. You want to use thick paper so the paint doesn’t soak through it. Open up the paper and draw a triangle on one half so one of the triangle’s points is pointing to the crease of the paper. Then, pour a few drops of paint inside of the triangle. 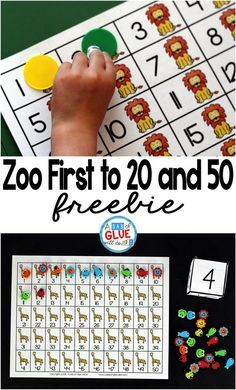 I would recommend that you use at least two or three different colors so the children can see the colors blend together. 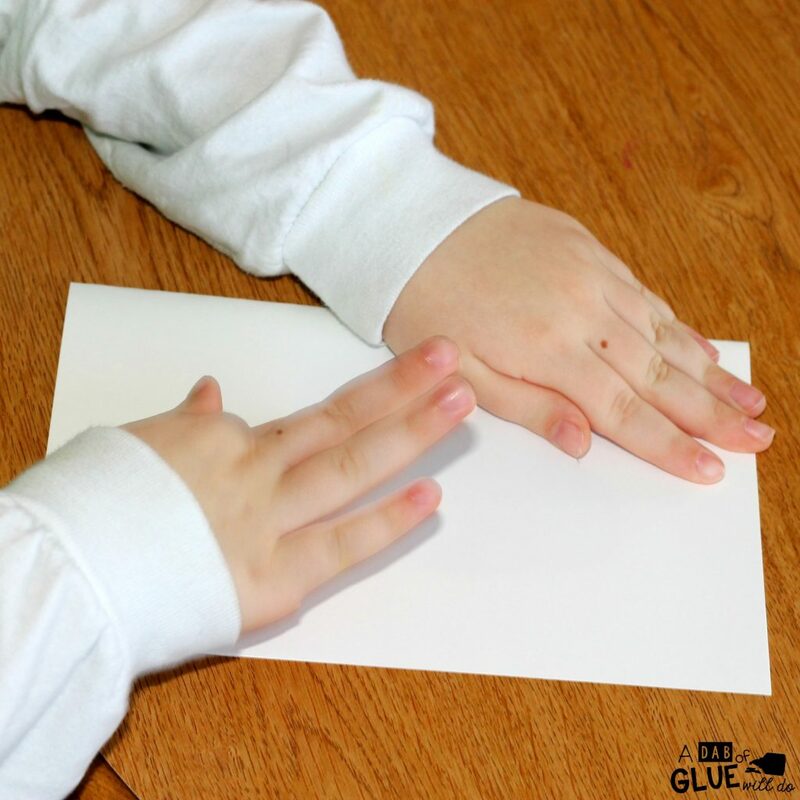 Have your students fold the paper again and gently rub the top of the paper, squishing and mixing the paint. 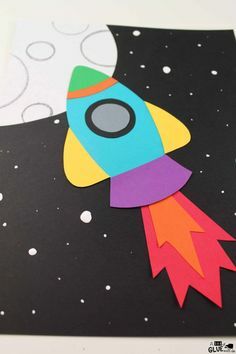 Make sure you are working on a washable surface or line the table with newspapers, because some of the paint may come out the sides of the paper. 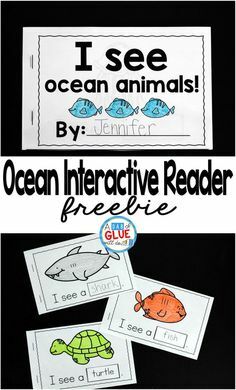 Next, open up the paper and watch the children’s expressions as see their paintings. 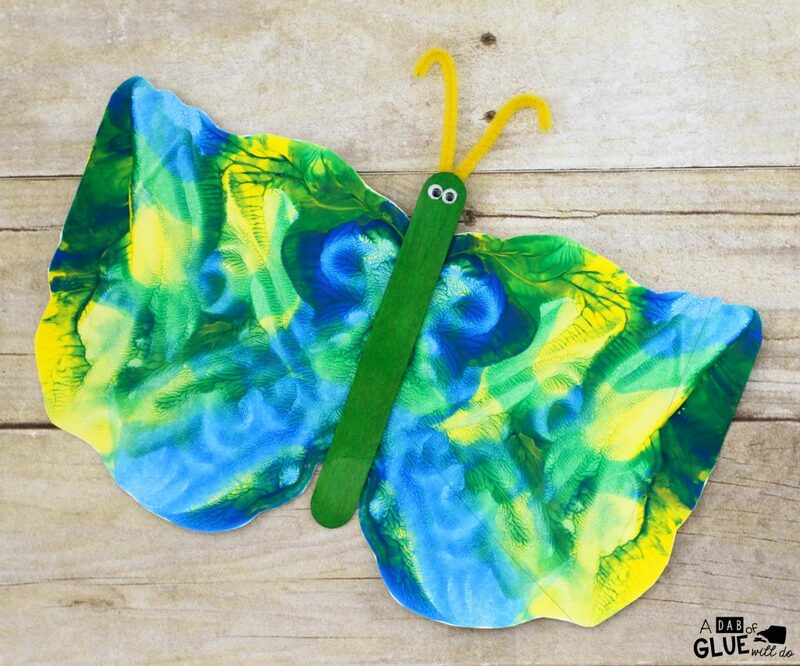 After the paint dries, cut out the butterfly and glue a jumbo craft stick in the middle of the wings for the butterfly’s body. 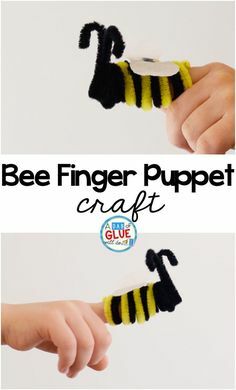 Then, cut a pipe cleaner in half and fold it in half. 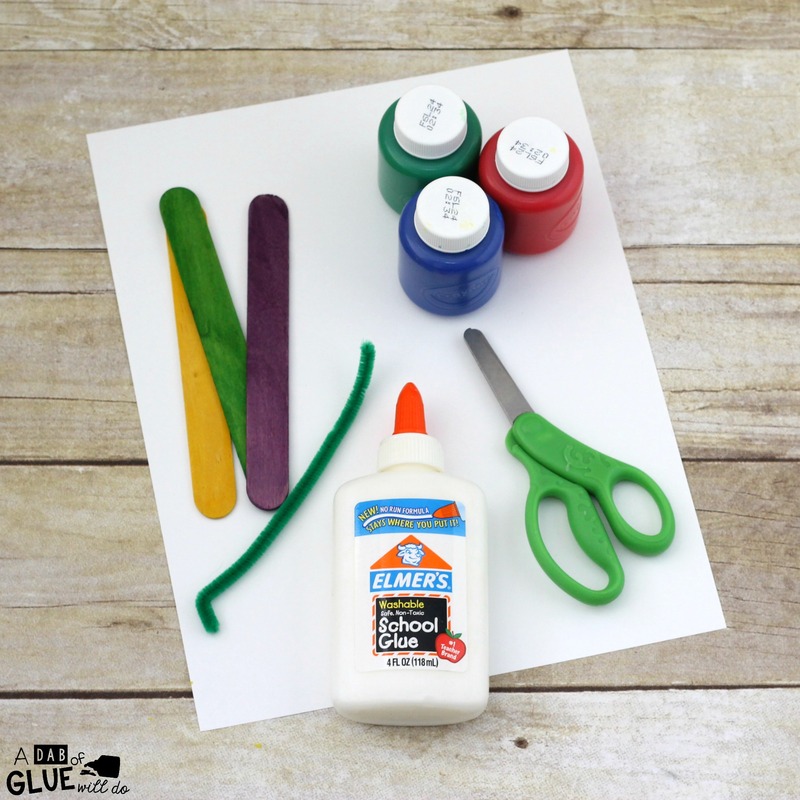 Glue the pipe cleaner on the craft stick for the butterfly’s antennae. Finally, glue small googly eyes on the craft stick below the antennae. 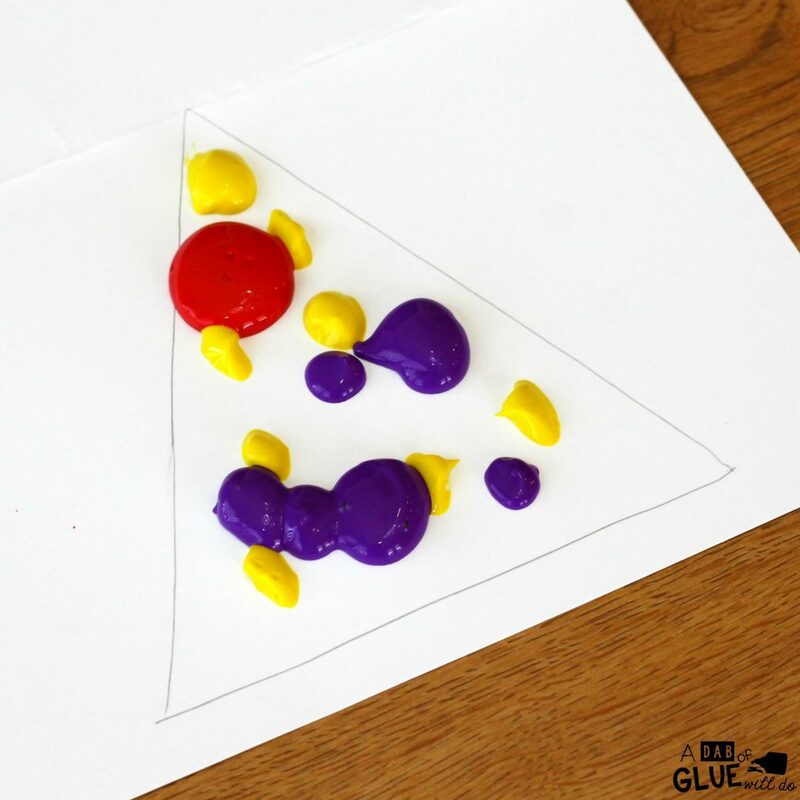 After your students create their butterflies, you can teach them about the line of symmetry. You can also have them work together to compare and contrast their butterflies. 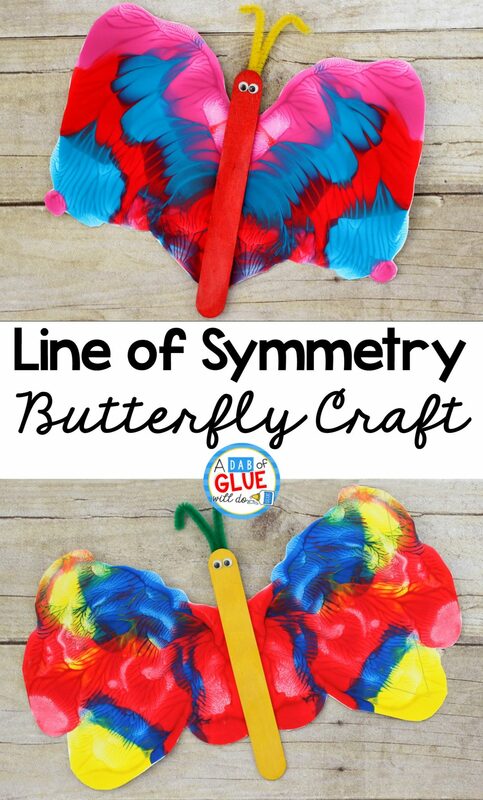 This Line of Symmetry Butterfly Craft is a fun process art activity and will be a great addition to your butterfly unit this year.